The end of another year then, and a fairly eventful one for me, so I thought I’d take an opportunity to look back over its memorable moments. In January, the firm I worked for closed its office in Coventry, which meant that I would work from home five days a week, for the foreseeable future. The twenty-six mile commute to and from Coventry had irritated me somewhat so I was pleased in that respect. It certainly meant a significant saving in time and petrol. And it was nice to be able to get out of bed at 08:45 and be at my desk ten minutes later, having visited the kitchen en route to pick up a coffee (I usually took a bath at lunchtime). But even with regular contact with colleagues through email and Skype, working from home permanently is a curiously disconnecting, isolating experience. It feels a little like being unemployed, albeit considerably less stressful. In February the University of Leicester confirmed that a skeleton found in the excavation of a car park carried out in 2012 was, beyond reasonable doubt, that of Richard III. I was particularly amused to note, while watching a documentary about the find, that the remains of the last King of England to die in battle were transported from his resting place of centuries in the back of a Citroen van. The ineffectual Liberal Democrat minister Chris Huhne, better known during his time in government for small-minded detraction than for a constructive contribution of any sort, received a prison sentence for perverting the course of justice on the same day – so it was a very entertaining news day, all things considered. In April, the world lost its greatest and most inspirational national leader. 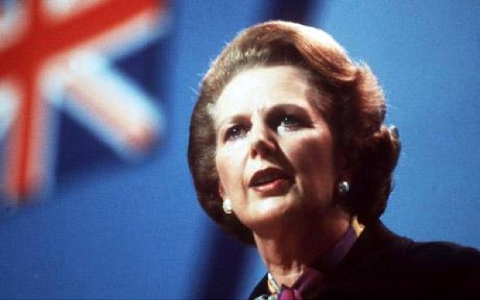 Margaret Thatcher, the remarkable woman who had so dramatically transformed Britain’s fortunes following decades of decline, consigning socialism to the dustbin of history, died on the 8th of that month, at the age of 87. She received a state funeral in all but name, and was cheered to the skies by grateful Britons lining the route. Sadly but extremely predictably, many on the Left were unable to contain their bitterness and spite for the humilation they suffered at her hands in the 1980s. I’ll never forget the laughable spectacle of the wretched has-been actress-turned-MP Glenda Jackson, her haggard, unappealingly masculine features contorted into a sneering vision of malice, indulging a hysterical outpouring of bile from the benches of the Commons. Of course, simple jealousy better explains Glenda’s poisonous incoherence than a difference of ideology. She was never a successful politician. She was never an especially brilliant actress either, to be fair. On the 19th of May, Sir Alex Ferguson, surely one of the greatest football managers of all time and certainly one of the most successful, led Manchester United onto the field of play for the final time. He had led United to Premier League title victory thirteen times in his twenty-seven years in charge, and won the Champions League twice. He was succeeded by David Moyes. A few days later, following months of anticipation – indeed the tickets had gone on sale in May 2012 – Rush’s Clockwork Angels tour came to the UK. I attended two memorable concerts at Manchester and Sheffield, and wrote about them at some length here. One evening in late 1977, I was alarmed when one of my upper back teeth disintegrated, leaving a broken stump in my mouth. In May this year I noticed a small swelling on my gum at the same point. I consulted a dentist, who assured me that the swelling was a simple abscess, but insisted that the remains of the tooth, still there thirty-six years later, should finally be removed. I agreed. The offending truncated tooth was removed at a dental practice in Ashby, on the 12th of June this year. It only took about twenty minutes and wasn’t even a particularly painful operation. I left the surgery wishing I’d got round to having it extracted a few decades earlier. Improbably, a British competitor won the Men’s Singles competition at Wimbledon in July, becoming the first Briton ever to win a singles title there in shorts. 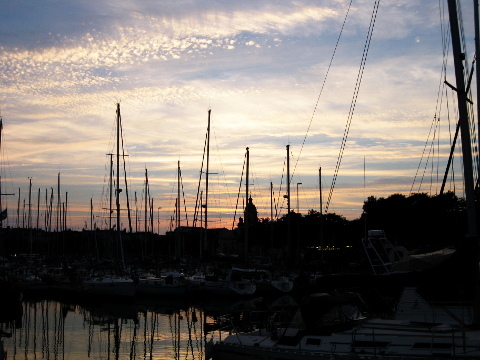 Later in July my charming wife and I travelled by car to La Rochelle for our summer holiday. My parents used to drive me through France, usually en route to Spain when I was young and I had long wanted to repeat the experience for myself. I must admit that our journey didn’t really evoke the spirit of those childhood adventures in the 1970s. I delegated the navigation task to a SatNav, for one thing. And the motorways in France seem soulless now, stripped of the colourful advertising hoardings that I remember as a teenager. Still, we had fun taking the car under the Channel. We also had beautiful weather and a wonderful time in La Rochelle, and were able to visit friends in Dieppe whom I hadn’t seen for many years. In August occurred possibly the most shameful episode I can remember in British Parliamentary history. Following compelling evidence that Bashar al-Assad’s regime in Syria had used chemical weapons against civilian targets among its own people, to massively lethal effect, our Prime Minister and other senior figures made an impassioned plea to the House of Commons for support for military action. Clearly, a powerful response was necessary. It was extremely important that crimes against humanity on such a scale did not go unanswered. Instead, our Parliament preferred to send the message to the Syrian government that it had no problem at all with weapons of mass destruction being used against civilian population centres, and that President Assad should feel free to wreak chemical carnage among his populace at any time in the future if he so wished. Happily, the British Parliament’s craven, weak-kneed cowardice was not the last word on the subject. A credible threat of action from the US government prompted the Syrians to commit to relinquish their chemical weapons, under international scrutiny. One early morning in late September, I passed out in my bathroom. I was only unconscious for half a minute or so, but I decided later that morning to stop drinking. I haven’t touched a drop since. I must say I haven’t really missed it. I’ve enjoyed being alcohol-free. It’s by no means a permanent measure, but it is an indefinite one. I won’t drink again for a while. Also in September, tired of working from home permanently, dissatisfied with my salary and feeling insufficiently stimulated by the nature of the work I was being called upon to do, I interviewed for a new role at a company based in Essex, with a satellite office in Castle Donington, roughly ten miles away from home. I was offered the position the next day and my career there started on the 21st of October. I spent the first two weeks working from the head office in Chelmsford as an introduction to the company. It’s been a bit of a culture shock in some respects, but an enjoyable challenge. In November, a report published by the Institute of Chartered Accountants in England and Wales suggested that the UK economy is set to grow faster than that of any other Western nation, and that confidence in business is at its highest for ten years. The Office for National Statistics had already reported a “fairly strong” performance across all sectors of the economy. 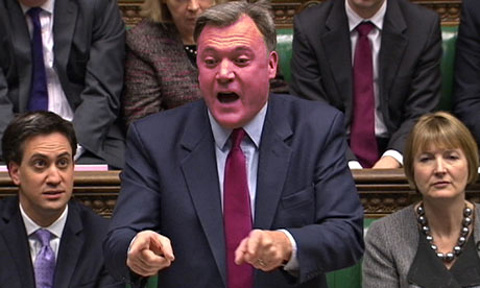 That and other economic good news strongly vindicated our Conservative-led government’s strategy for recovering from the nightmare it inherited from the previous Labour administration – leaving egg all over the embarrassed collective face of Her Majesty’s Opposition, as Shadow Chancellor Ed Balls confirmed with a hilariously red-faced, spluttering and roundly mocked performance in the Commons on the occasion of the Chancellor’s Autumn Statement, to the great pleasure of the benches opposite him, and indeed to the general entertainment of the wider public. Not a bad year, all things considered. Here’s to a successful 2014. I’m particularly looking forward to the death of the Scottish National Party in September.